During those cold, wet ‘tent-confined’ days, we’ve been working on TWO books to share with the public! And, we’re now happy to announce, they are finished, published and available on Amazon. 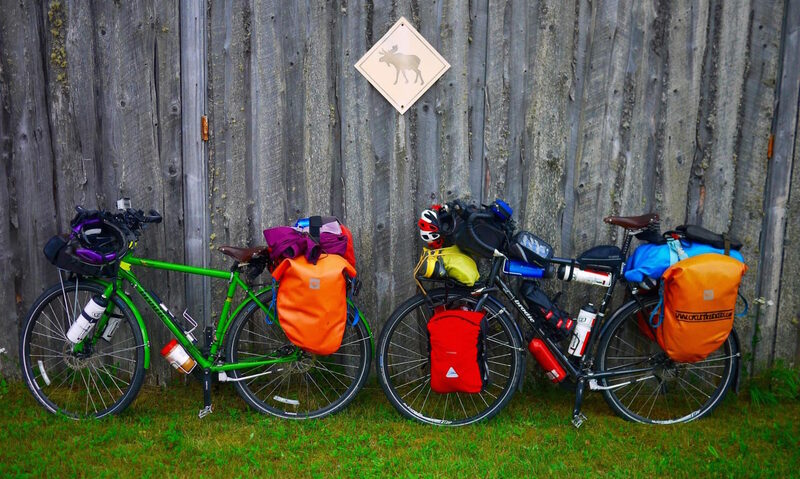 “Cycling Canada: Coast-to-Coast Trip Notes ” are in-depth notes about our cross Canada cycle tour. 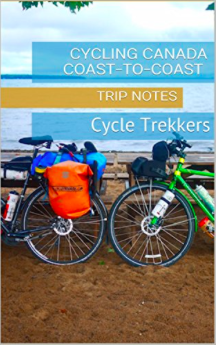 The notes are based on our cycle trip and are written primarily for fully loaded cycle tourists, however they should benefit anyone planning a cycle trip in Canada. The notes include route notes, province notes, road conditions, food, wifi spots, recommended bike stores and a list of resources. If you purchase the book and have any additional questions about the contents or trip, please feel free to get in touch. I’m always happy to answer any questions. 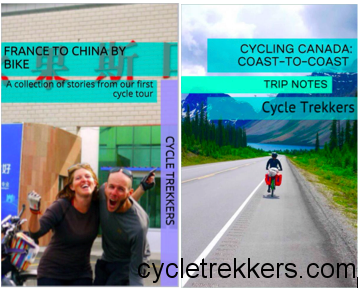 New Promotion: Leave a review on Amazon, then email a screen shot of the review to info@cycletrekkers.com and we’ll send you a free pdf copy of our France to China ebook. “France to China by bike ” is a collection of posts from our charity cycle trip in 2014, where we cycled 8,500km from France to China. All royalties from this book will be donated towards the global sanitation and World Toilet Day campaigns. These are available on Amazon to purchase. I’m new to writing and creating ebooks, and both of these books are the first editions. So if you do have any feedback please drop us a line at info@cycletrekkers.com. I’m always keen to learn how we can improve! Next PostNext Cycling Nova Scotia: Hello Halifax!